Medical Volunteer Programs: After spending countless hours searching for volunteer abroad programs, are you still unsure where to travel? Are you currently in the medical field or aspire to a healthcare career? Let us help you make a sound decision. 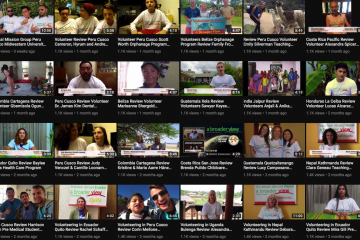 A Broader View Volunteer, top-rated USA based non-profit charity, has compiled a list of the best rated volunteer programs based on ABV alumni feedback from the last 18 months. The Best Medical Volunteer Abroad Programs? With Volunteer Medical international support, donations and medical supplies, more patients can be treated and more life-saving medical information can be shared with the local community. Here are a few options for medical volunteers participating in our programs: worked alongside paramedics on an ambulance in Honduras; organized medical outreach brigades to rural towns in Guatemala; assisted in a dental clinic in Cusco Peru; volunteered at a children’s hospital in Ecuador, participated in HIV awareness outreach work in the community clinic in Ghana; worked in the maternity ward at a reginal hospital in Tanzania; scrubbed in and observed surgeries in Nepal. Student nurses, medical students, PA students, dental students and licensed medical and nursing professionals have traveled with ABV on an international medical volunteer program. Individuals and organized group volunteers are the driving force of our non-profit charity. A Broader View Volunteers offers flexible, customized, international volunteer programs and medical mission trips worldwide. Medical electives and international medical internships can be arranged, both as a short term and long term option. ABV has options for student nurses, nursing volunteers, as well as those focused on public health volunteer programs. A Broader View Volunteers offers an affordable travel learning experience combined with responsible volunteer programs. Through a customized program, regardless of their medical skill level, every ABV volunteer can find a role and has the chance to learn about global health care volunteering. Join us and see a broader view of the world! Honduras is one of the poorest countries in Latin America, with millions living in poverty with limited access to suitable health care. For the past 10 years, A Broader View has focused all volunteer support to the coast city of La Ceiba and the surrounding villages. This program would be one of the best volunteer abroad programs for medical volunteers. Experienced, licensed medical, nursing and EMT trained volunteers provide lifesaving support at a large regional hospital, busy community clinic and work closely with the local ambulance in the city of La Ceiba. Pre-medical and student nurses seeking experience; in this program, you can gain unique insight into a career in medicine, through observation, mentoring and supervised hands on teaching. Volunteers will shadow the nurse staff and learn the true life of working in a hospital, rotating to difference departments and gaining perspective on global health practices. Guatemala’s constitution states that every citizen has the universal right to health care. However, this right has been hard to guarantee with the limited resources and overall access – especially in rural communities. ABV programs are based in and around the city of Quetzaltenango, located in the highlands of Guatemala. Students and medical volunteers can participate in organized medical outreach brigades in rural communities, or are based in a community clinic in the city. Other healthcare options include working with children and adults with special needs, language and physical therapy projects and supporting disadvantaged seniors and the elderly. This was truly an amazing experience, it really renewed my faith in altruism and globalization. This was such a holistic experience combining volunteering, culture and language. I loved being able to do some good, while meeting warm, genuine people both local and from abroad. Human connections are really what makes us strong and this experience really solidified that. Rashmi Baragi, USA, 38 years old. Based in and around the capital, all medical and healthcare placements in Costa Rica are about 100% immersion. Volunteers can work in a children’s hospital, or at a medical half way house for children with chronic illness. Those interested in rehabilitation programs can help with language and physician therapy with adults and children. Dental students and those interested in a dental career can support a community clinic. Language immersion lessons are optional and can be focused on medical terminology. This was an experience that I will never forget because working in a hospital is a goal of mine for the future so any experience know will help me greatly. This country is very different from my own so it is also interesting to experience another language and culture. Sarah Nasiff, USA, 20 years old. 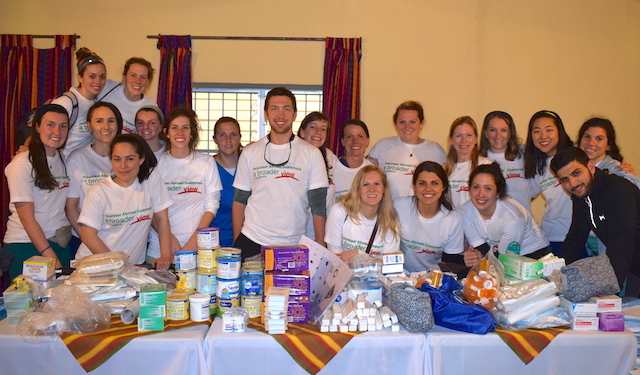 A Broader View Volunteers has been sending medical volunteers and brigades to Peru since 2007. Thousands of healthcare student volunteers have participated in medical and dental outreach projects. 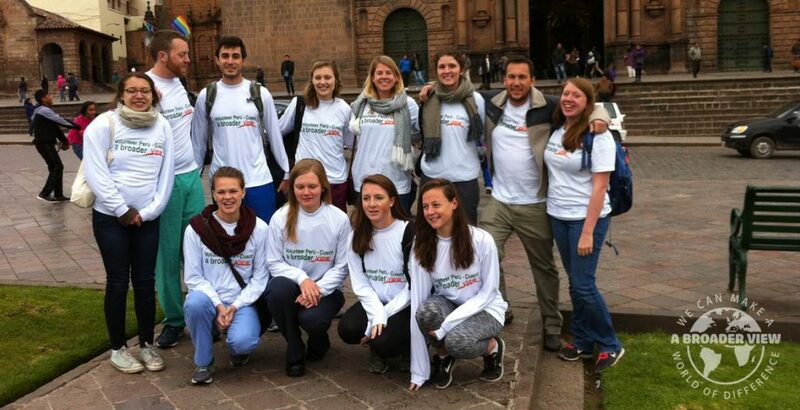 ABV medical volunteers focus is based in the striking mountain city of Cusco – home to the Inca culture (and gateway to Machu Picchu). This program is highly rated by our medical alumni. Licensed medical volunteers support the work at a busy community clinic, or the dental clinic. Programs are available working with special needs children, rehabilitation and cancer treatment centers, and elderly care support centers. Language immersion lessons and cultural activities can be combined with medical volunteer work in Cusco Peru. I have really enjoyed my time in Cusco. My Spanish has improved a lot. I have gained a greater appreciation for the medical services and general sanitation we have access to in the US. Cusco is such a beautiful place, and the volunteers who I worked and lived with were also all very friendly and easy to get along. I would definitely recommend ABV! Wendy Tyler, USA, 27 years. What a better to fulfill your medical internship or medical elective requirement than volunteering abroad? 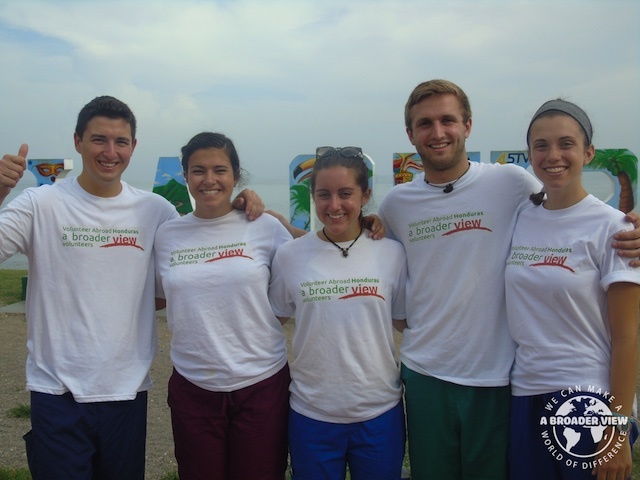 With the growing field of physician assistants, the health care volunteer program in Ecuador has you working with real doctors. Dental students can work in a community clinic with licensed dentist to gain firsthand experience in Quito. Pre-medical and student nurses help in the children’s therapy project, with special needs adults in a care center, or shadowing at the clinic. Experience global medicine practices firsthand! Volunteer projects and medical internships are available from 1-week up to 3 months in length. A Broader View not only met my expectations, it exceeded my hopes. During the informational phase and the application process, employees at A Broader View were thorough, professional and prompt, not to mention helpful, kind and understanding. Everyone I had contact with (both in the USA and in Ecuador) was attentive, they helped me find the right volunteer job and calmed my fears. They also checked in during my stay and followed up after my stay. I want to reiterate that I cannot say enough about A Broader View. It is, at least in my experience, one of the best-run volunteer organizations I have ever come into contact with (having worked in a few and run an international office of another). I don’t believe I could have chosen a better organization to travel with, nor had a better experience than I did while I was in Ecuador. Barbara Uboe, USA, 60 years old. Nurse volunteering and medical internship in Ghana usually incorporated into the daily routine of the local health clinic where they shadow nurses and observe different treatments to disease and sickness. Outreach campaigns, health checks in the local orphanages and health presentations in the local schools are part of the medical program in Ghana. Public health students can help with the HIV/Aids awareness and outreach work in the Kasoa community. This program offers a wonderful opportunity to volunteer in a rural community, providing much needed support to this coastal community. I had no idea what I was getting into when I decided to go to Ghana. When I got there, I was met with a warm welcome that never left the entire time I was here. Being able to constantly put a smile on someone’s face while working in the clinic made the whole trip. I made a connection here that I will never forget. I learned a lot about Ghana healthcare and became more independent and confident in my medical skills as a direct result of overcoming the challenges faced when being in a foreign land oneself. Joe O’Brien, USA, 19 years old. Medical and nursing interns are based at a busy hospital in the northern city of Arusha. The hospital provides an outstanding opportunity to learn about medicine in a developing country. This can be a challenging location due to the extreme poverty and lack of modern medical needs. Volunteers with training will be observing, shadowing and assisting with uncommon diseases (as seen in USA or Canada) such as typhoid, malaria; also rotating in different departments like maternity, surgery, pediatrics and also dental placements. 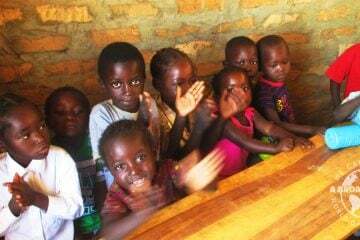 Those interested in disease and HIV/AID programs can help at an orphanage for children afflicted with the disease. Village visits, health checks and community outreach work to rural villages are part of the program work. In the regional hospital I moved around to some of the different departments. I was able to see health conditions and procedures that I hadn’t seen before in the UK. It was a pleasure to learn from the doctors and nurses and other international volunteer at the hospital. I then spent time on a HIV care programme, where I would assist staff with daily tasks and health check up at the orphanage for children with HIV. Rachel Wright, UK, 25 years old. ABV provides such a rich experience through cultural immersion. I did not realize this program would offer such an “authentic” experience. I lived with a wonderful Nepali family, was welcomed into their home as a member of their family, and left the program feeling extremely humbled. ABV provides a unique experience to provide medical support in Nepal. Do all you can, and learn as much as you can. Lisa Duong, USA, 31 years old.